Business owners are being encouraged to come forward in a bid to increase the number of public toilets in Flintshire. There are currently just four loos operated by Flintshire Council in the area after eight were closed since 2000 in a bid to cut costs. Some public conveniences were also transferred into the ownership of community groups. The local authority is preparing to launch a consultation on its Local Toilets Strategy, as required by the Welsh Government. 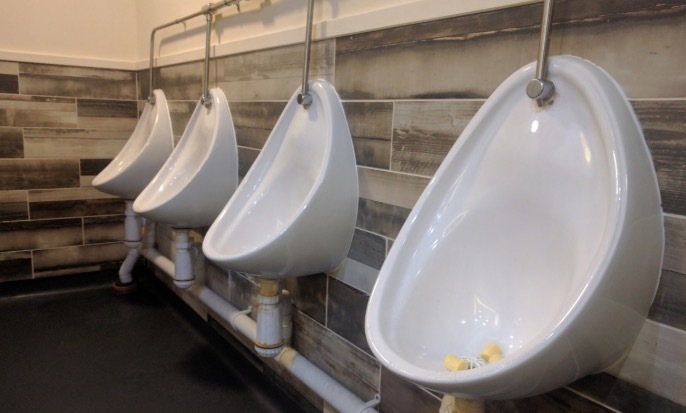 Politicians have suggested that working with businesses to open their toilets to members of the public could be a way of boosting the facilities available. The idea was put forward by Shotton West councillor Sean Bibby at a meeting of the council’s environment scrutiny committee. Speaking today, he said: “To what extent have discussions been made with private businesses about providing toilet facilities? “I know in Shotton we had a lot of issues with toilets in the town centre which were shut due to budget pressures and anti-social behaviour. Officers said a previous Welsh Government scheme to encourage more businesses to open their toilets up had failed, despite providing a £500 incentive. Cllr Paul Shotton said he was ‘disappointed’ more businesses were not willing to take part. The four facilities still run by the council, include two toilets in Mold, one in Holywell and one in Talacre. Last week Raymond Martin, director of the British Toilet Association, said the authority needed to do more to help people who are caught short. However, Cllr Carolyn Thomas, cabinet member for Streetscene and countryside, warned the new strategy would not necessarily result in an increase in toilet facilities. She said: “It’s another strategy we’re having to do on behalf of the Welsh Government and it’s not like there’s additional funding. “We’re having less money and being asked to do more yet again. Councillors voted to back holding a public consultation on the strategy. They are expected to receive a further report once feedback has been received.